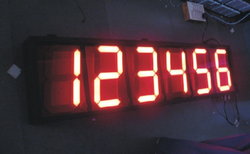 These are large size Jumbo Display specifically for distant visibility. Useful for indoor as well as outdoor applications for parameter indication, clock indication, temperature and humidity indication etc. Looking for Jumbo Display ?